Intro videos in video games. Just like upside-down eights in gas station prices, this is one of those situations that once you notice something, you’ll notice it everywhere. I recently started paying attention to how frequently video games have some kind of intro video before you get to the main menu. Indeed, it’s come up on this site recently. 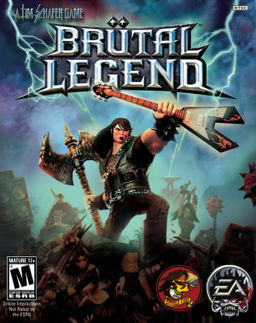 Once was in a discussion of how annoying title screens are, and again it came up in a discussion about the personality-infused main menu of Brutal Legend. So the more I look around, the more I can’t help but notice how widespread this practice is. A few months ago I was thinking that the usage of intro videos was declining, though I’m not super confident that’s actually true. Regardless I’ve discovered something that makes me especially sad – Real Racing 2 for iPad features an intro movie. That’s right, an iPad game, with an intro movie. With this knowledge, I am officially declaring that video game intro movies must die. World maps are a standard-issue feature in games of all kinds of genres, and have been for a long time. In many games the map is a critical feature, and gamers are constantly flipping to it in order to avoid getting lost. For PC gamers, this is usually straightforward – there are a lot of keyboard keys available to enable direct access to the map.